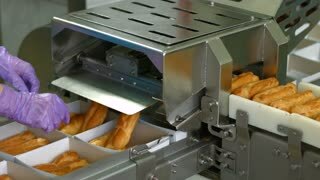 Pile of eclairs on conveyor. 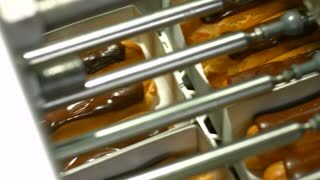 Eclair shells sliding down conveyor. High-quality dough for confectionery. First production step is complete. Cutting Eclair dessert with chocolate and strawberries on plate. Eclair with chocolate and strawberries. Confectioner production. Pouring melted chocolate on Eclair or profiterol . 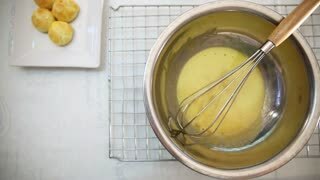 Eclair rings baking process. Making Paris Brest.